August 1, 2017 (Miami, FL): Boats Group, the leading global classifieds marketplace and marketing software solutions provider to marine brokers and dealers, today announced the appointment of Ian MacDonald as the company’s Vice President of Sales in North America. Prior to joining Boats Group, MacDonald served as Vice President of Sales at AutotTader.com. A key hire for 2017, MacDonald’s new role at Boats Group will focus on growing new business and expanding existing industry partner relationships through value-based sales. MacDonald is a veteran in the digital classified space with 33 years of experience in the automotive industry, both domestically and internationally. Having spent the last 14 years of his career with AutoTrader.com, MacDonald played a key role on the leadership team, growing the business from $50 million to $1.2 billion in revenue. He also oversaw the closure of Auto Trader Publishing, successfully shifting over $40 million in revenue from print to digital media in 2008. “After a long career in the automotive sector, leading sales teams and partnering with customers as the industry evolved from traditional media and practices to the digital age, I am excited to join the Boats Group as we strengthen our position as leaders in the marine industry. 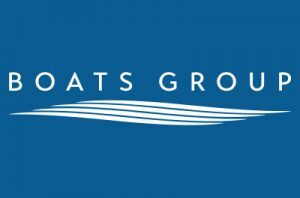 I look forward working closely with the Boats Group team and our industry partners to offer ever-evolving and improving solutions and service to help them grow their businesses,” said Ian McDonald, VP of Sales, Boats Group. This announcement is the most recent of a series of key hiring updates from Boats Group following their acquisition by Funds advised by Apax Partners, including the appointment of Sam Fulton as Boats Group’s new CEO and the appointment of Sam Peterson as the company’s CTO. Operating the world’s largest and most popular recreational marine digital marketplaces – Boat Trader, YachtWorld, boats.com and CosasDeBarcos – Boats Group attracts over 65 million unique visitors annually to more than 300,000 unique boat and yacht listings. Boats Group’s digital solutions serve over 5,000 dealers and brokers in more than 143 countries, enabling them to effectively reach in-market consumers, increase dealer and broker inventory turnover, and improve their overall profitability. To find out more information about Boats Group, please visit: www.boatsgroup.com. To learn more about job opportunities with Boats Group, please email: hr@boats.com.